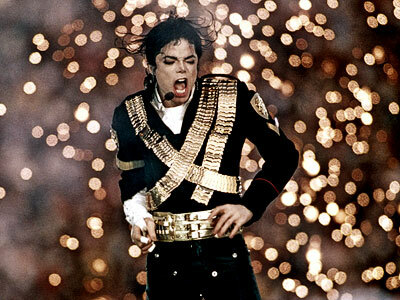 Michael Jackson performed at the 1993 Super Bowl. Photo property of Al Messerschmidt/Getty Images. The Queen of Pop will take the Super Bowl Halftime Show’s stage to perform in front of millions of people across the world. She is not the only mega star that headlined the precious Super Bowl Halftime Show over the past 20 years. The performers who have the honor of entertaining viewers that included Gloria Estefan, Stevie Wonder, No Doubt and Britney Spears. Here are the greatest Super Bowl Halftime Shows of All Time. America’s favorite football game commemorated the new millennium in a huge way. Tons of musicians, dancers and puppets joined the biggest names in music to celebrate the optimistic future and spread their message of hope, peace and unity across Earth. Disney and ABC celebrated the release of the highly anticipated Disneyland attraction: Indiana Jones Adventure. The plot featured Indiana Jones and his love interest, Marion Ravenwood saving the Vince Lombardi trophy from the dreaded Temple of the Forbidden Eye. In addition to the show’s plot, legendary performers Patti LaBelle, Tony Bennett and the Miami Sound Machine provided the soundtrack for the halftime show. Bruce Springsteen and the E Street Band took the Super Bowl Halftime Show to another level of excellence. The group performed four of their hits including “Born to Run” and the inspirational “Working on a Dream” that featured a gospel choir backing the group. The Artist Known as Prince rocked out a stormy Miami in 2007. The Purple One performed several of his classics including “Baby I’m A Star” and “Let’s Go Crazy.” In addition to his hits, he performed covers of “Proud Mary” and “All Along the Watchtower” with the accompaniment of a marching band. One of the most incredible group performances that hit the Super Bowl stage featured three different kinds of music: R&B/Soul, Latin and Swing. In addition to this diverse group of musicians, look for a quick cameo by E.T. To celebrate the Super Bowl’s 30th Anniversary, the NFL turned to one of the most legendary names in the recording industry to entertain their worldwide audience. Diana Ross did not disappoint as she performed her medley of her solo and Supremes hits. The former Beatle performed a medley of his classics at the 39th Super Bowl that showed incredible musicianship and masterful vocals that entertained everyone. The best Super Bowl Halftime Show of the 2000s hands down belonged to a collective group of talented performers spanning different genres of music. This Halftime Show had something for everyone. The best Super Bowl Halftime Show Performance of All-Time belongs to the late King of Pop. It featured all of his best moves, songs and showmanship in less than 15 minutes. I do not own any of the video clips that have appeared on this blog post. They belong to the National Football League and their respective broadcasting networks.